Hey everyone! 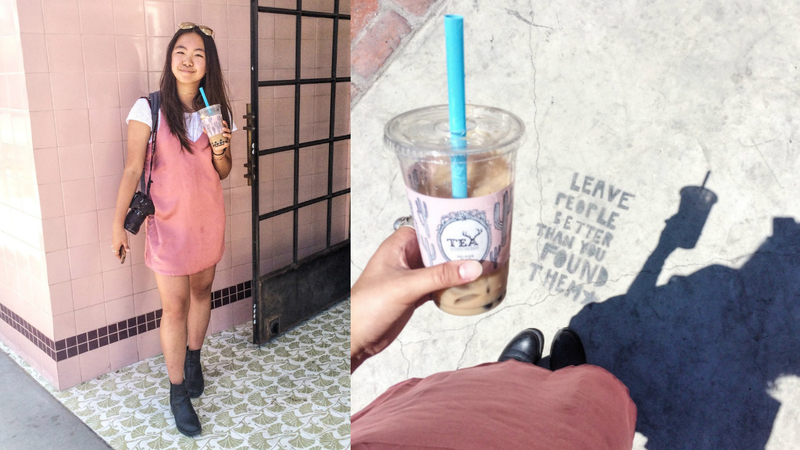 In this post, I'll be taking you around two of my favorite spots on Melrose in Los Angeles. This is also a collab with one of my amazing friends, Chae from Inspinkle. 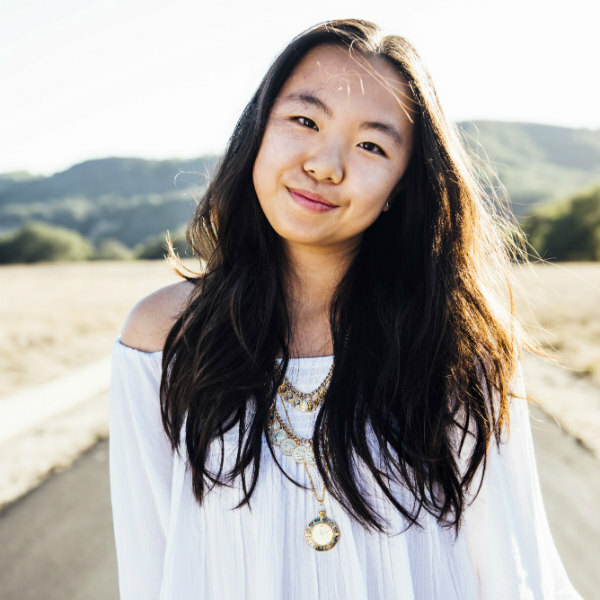 I'll link her post at the end of this one, so be sure to head over there and read it! 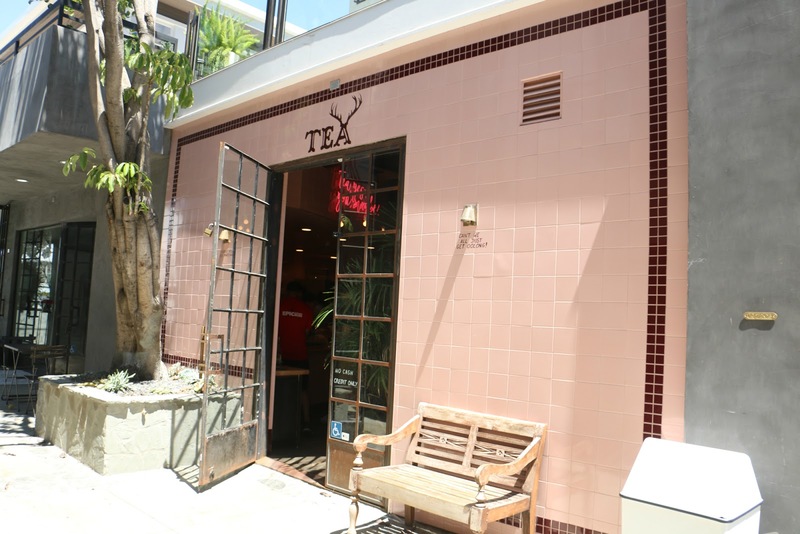 Welcome to a pastel pink paradise that's tucked away in a small alley near Melrose Avenue. 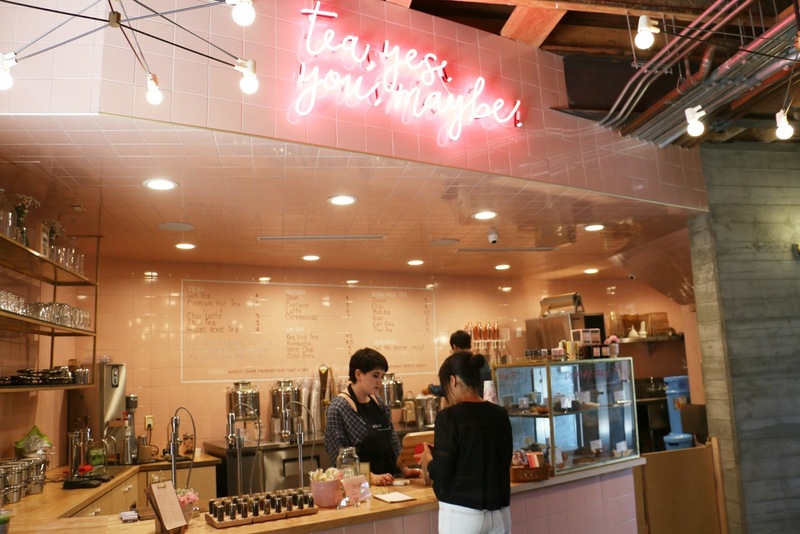 Featuring "aww"-inducing puns written on tile walls, neon pink catch phrases, and cute outdoor seating, Alfred Tea Room is a witty tea-lover's home away from home. 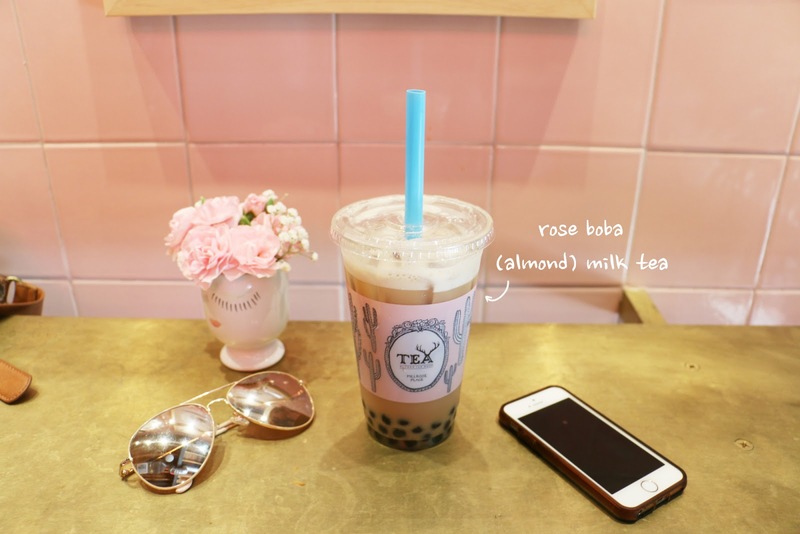 Alfred Tea Room's milk tea flavors were all super appealing, but I ended up getting the Rose boba milk tea (with an almond milk substitution) and I would definitely recommend it to anyone who doesn’t know what to get! I loved how well the boba and the light rose flavor complemented each other. Chae got the Earl Grey flavor and she literally couldn't stop raving about it so I'll definitely have to try that one out next time. I've heard that the matcha one isn't as good, but if you're a fan of matcha, definitely give it a go! Of course, if none of the menu items stand out to you, feel free to ask the workers what they would recommend. 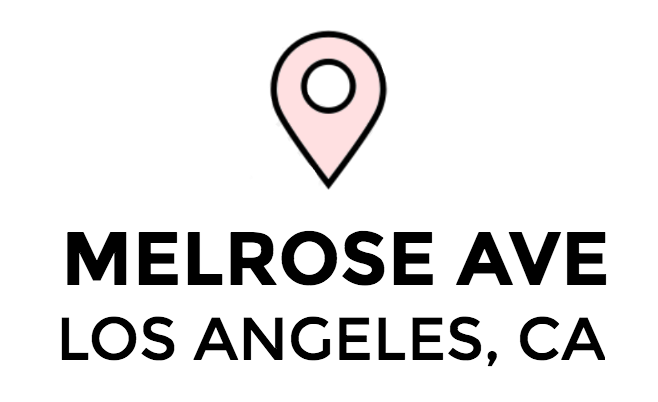 Overall, if you’re looking to give your Instagram feed a dash of pastel pink or a solid cup of tea, Alfred Tea Room is the place to go! Ahh, Urth Caffe. This place is probably the epitome of Los Angeles. In short- Urth Caffe has basically become a landmark and is one of those restaurants that is penciled into a trip itinerary. 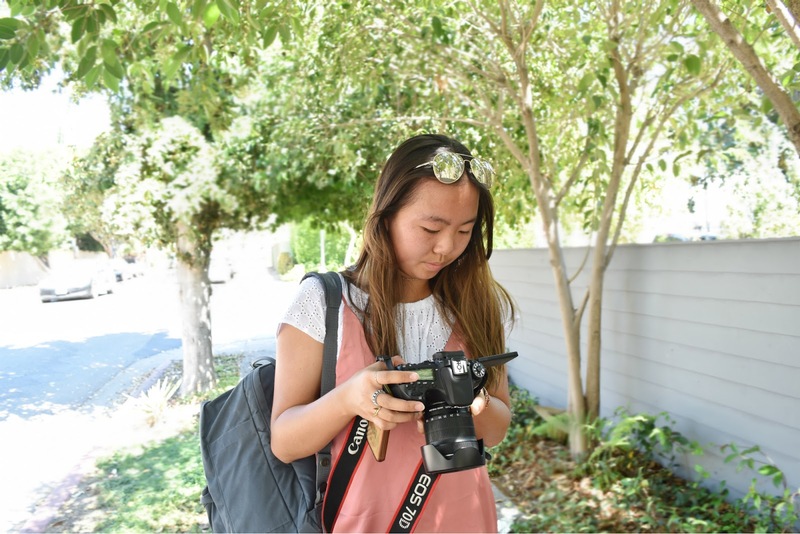 Known for their green tea boba, paninis, and instagram-worthy tables, this caffe is a good standard place to go eat at. Since it's so popular, parking and seating may be hard to find. So keep that in mind! 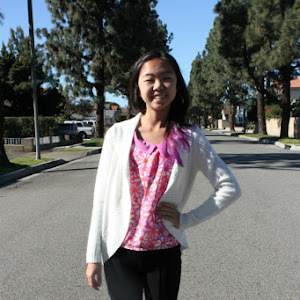 I just had to include this picture that Chae took because omg!! Look at the reflection of the trees on my sunglasses...so cool. 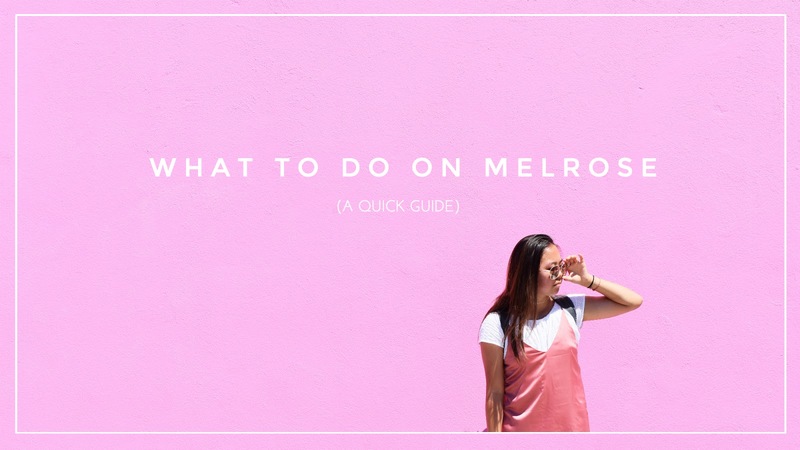 Anyway, I really hope this post helped you figure out where to go and what to do on Melrose. 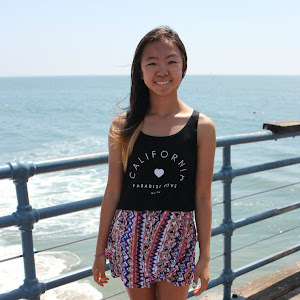 Chae has 3 other locations over on her blog so go and read all about them! Did I miss any key locations on Melrose? Let me know & I'll talk to you guys soon!